The Corporate Affairs Commission (CAC) has disclosed that it registered over 69,000 business entities in two months. This was coming after the launch of its Business Incentive Strategy (BIS). The acting Registrar-General of CAC, Lady Azuka Azinge, who said this during a media roundtable in Abuja recently explained that before now, the number of business registration they had in three months of the same period was about 50,000 and in two months, the number grew to over 69,000. She also said they are still expecting to have a very large number of business registrations before the end of December. According to her, the main aim of crashing the cost of business registration in Nigeria from N10,000 to N5,000 for a period of three months (1st October to 31st December 2018), was to enable massive registration of small businesses in the country. She said the initiative was in line with the major thrust of the president Muhammadu Buhari's administration which centred on revamping and diversification of the economy through constantly supporting MSMEs. 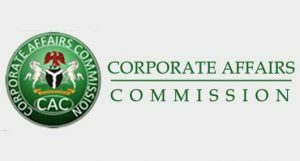 The CAC boss said the Commission has also provided a user-friendly Company Registration Portal (CRP) via its website which gives customers real-time access to the services of the Commission from their offices or homes.